Weddings are incomplete without dance and drama. Because it’s your wedding, the biggest day of your life, it has to be a lot of fun. You have to look your best in the “Sangeet function” where there will be lots of dancing and singing. Today we have some outfit suggestions for sangeet with which you can not only nail your look but also dance as much as you want without any interruptions. If you are the bride who wants to be a free bird while dancing yet look the most classy then this outfit is the right choice for you. Wear pastel colour (pink, peach or mint) or dark colour (preferably navy blue) Sharara and team that up with short kurti with subtle work. Also add a little glitter to your look with net glitter cloth wrapped around and over the Sharara giving it a skirt look. People will be confused what the bride is actually wearing. We know you are a carefree bride yet have elegant taste. Also, you just want to dance and express your happiness at your sangeet. You just want the world to know too how much luck you are feeling. Just wear a princess lehenga with elegant designs with an off shoulder-top. Ditch the traditional choli and dupatta. You can choose a crop top. If you are the experimental bride who wants to be explore latest fashion trends and want to look out of the box then this look is just for you. Wear a churidar or leggings as bottom and top wear should be a kurta styled like a dhoti. You can get beautiful embroidery or embellishments on your choli or neckline to make it richer and festive. Floor length anarkali will give you look of an evening gown with traditional touch. Remember to do subtle makeup with anarkali. Get the X-Factor with dramatic eyes and you are sorted. Just hop and dance and sing along. To feel chirpy, just wear a chiffon patiyala with short kurti. Complete the look with Rajasthani traditional work heavy jacket and you are sorted. Now you have as much fun you want to just dance and don't get tired. Complete the look with bangles and jhumkis. 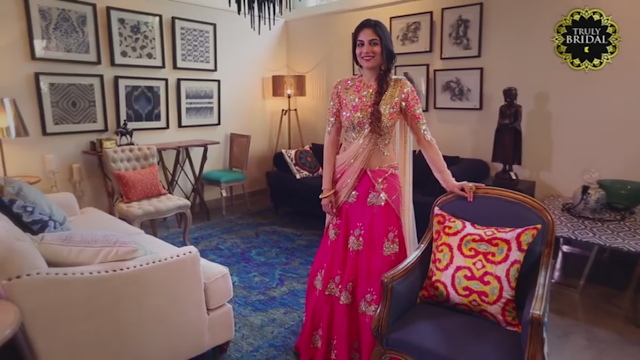 Check out the trendy sangeet outfits in video by Truly bridal by Kalyan where Shubhika Davda will take you through new fashion trends. 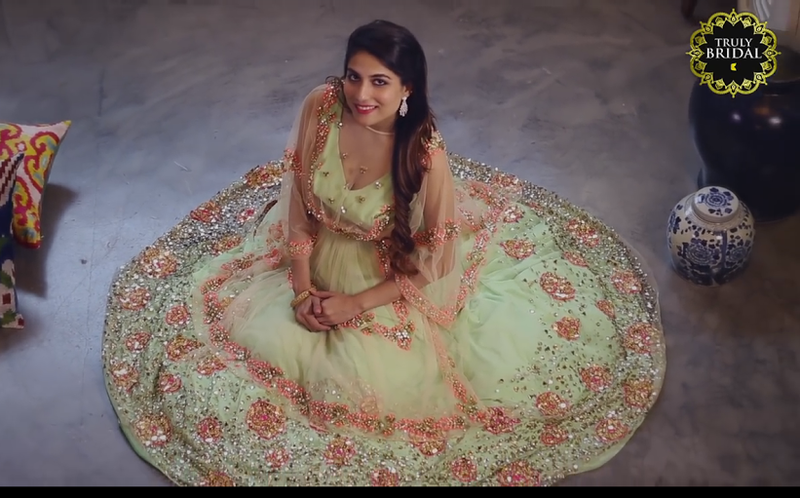 If you find this video helpful, do not forget to like, share and subscribe to the Truly Bridal by Kalyan Jewellers YouTube channel. hey i loved that pink lehenga.from where is that from..
All the outfits shown look super pretty. wat a amazing post!! Very lovable post. I love to wear lehenga at my sister's wedding. Thanks for sharing with us. Awesome images and style !! love it. Thank you for sharing it..
Beautiful Dress you are carrying.Amazing Style.Love to see more pictures and Blog related to some Ethnic Collection.